NTS Baltimore specializations are in root cause failure analysis and materials testing. Our technical experts and engineers specializing in chemical, electrical, environmental, and mechanical testing are in the top of their field. We are one of two NTS materials analysis laboratories with expertise in electronic and mechanical product failure modes across numerous industries. What sets us apart from our competition? According to our customers, NTS Baltimore tops the list in quoting responsiveness, personal service, and technical expertise. For straightforward quotes, NTS Baltimore’s goal for turnaround is one working day. If you have technical questions or require help designing a test plan, you’ll work one-on-one with our technical experts, many who chair industry standards writing committees. NTS Baltimore maintains leadership roles in key industry committees, including ASTM, IPC, SAE, and SMTA. This allows us to advocate for you, represent your product in the industry, and better serve you in product validation. NTS Baltimore is a world-renowned chemical testing lab with expertise in composition, flammability, high voltage arc tracking, ion chromatography and more. To ensure your products’ regulatory compliance and correct chemical composition, we are highly skilled at testing products to meet the standards of leading organizations such as ASTM International, UL, IPC and U.S. Department of Defense MIL-STD and/or MIL-SPEC. We offer a full range of electronics testing to verify the safe and compliant operation of your electronic components and assemblies under all types of environmental conditions. 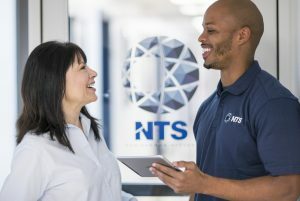 What’s more, at NTS Baltimore, we have the in-house expertise to supply you with all the information you need — including services that involve active monitoring and in-depth analysis. By accurately measuring everything from arc resistance to conductivity, we supply you with the tests and documentation you need to have full confidence in your electronic components. Whether you are testing satellite components or solar cells that intended to function in the most challenging desert setting, there is simply no substitute for environmental testing from NTS Baltimore. When your components are expected to work in extreme temperature ranges and weather conditions, environmental testing including acceleration, vibration, thermal, humidity and other forms of dynamic testing can help you meet client expectations, adhere to regulatory standards and even avoid litigation. We regularly perform mechanical testing to provide our clients with full knowledge of the physical and mechanical limits of their products. 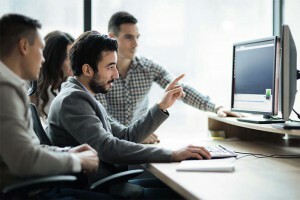 By identifying vulnerabilities early in a product’s development, our mechanical testing services can help you develop a best-in-class product that sets you above your competitors. Whether you need to measure elasticity, impact resistance or another product characteristic, the scope of our mechanical testing means you can count on the integrity of your final product. Printed circuit boards are the foundation for any printed circuit assembly. Our internationally accredited laboratory is approved for PCB testing to IPC-6012, IPC-6013, IPC-6016, IPC-6018, MIL-PRF-55110, MIL-P-50884, MIL-PRF-31032 or MIL-STD-810. This includes the bare PCB, the finished assembly (PCA), and the raw materials that comprise the PCB and PCA. We have been assessing board quality for over 30 years, in addition to performing full root cause failure analysis. To ensure the conformance of your product, it is recommended to engage in PCB testing when using a new supplier or changing a step of the manufacturing process. NTS Baltimore has decades of experience as an ASTM testing lab for over 1,000 ASTM test methods. We are ISO 17025 and A2LA accredited. Our experts are members of many different ASTM committees and have participated for more than 20 years. We have contributed to the publication of hundreds of ASTM methods. Our specialty goes well beyond being a standard ASTM testing lab. In addition to testing in direct accordance with ASTM test methods, we offer unique solutions by modifying individual methods to meet the needs of our customers. This includes adapting methods to accommodate unique samples or requirements. In addition to our ASTM and IPC work, NTS Baltimore is equipped and accredited to offer our clients testing to sections 4, 5, 11, 13, and 26 of the RTCA DO-160 standard. The MIL-STD-810 sections 500 through 504, 507, 508 and 512 are also routinely tested by our laboratory. Click here to download the NTS Baltimore fact sheet for more details on specifications, tests, and capabilities. Contact us today to discuss your next program!